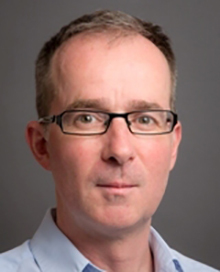 Dr. Foy is Professor of Primary Care at the Leeds Institute of Health Sciences and a general practitioner in inner-city Leeds. His field of work, implementation research, aims to inform policy decisions about how best to use resources to improve the uptake of research findings by evaluating approaches to change professional and organisational behaviour. His former posts include a clinical senior lectureship at Newcastle University, and an MRC training fellowship in health services research based jointly between the Universities of Edinburgh and Aberdeen. He also admits to being a trained public health physician. He was a 2006-7 Harkness / Health Foundation Fellow in Health Care Policy, based jointly between the Veteran’s Administration and RAND in Los Angeles. He was Deputy Editor-in-Chief of the open access journal, Implementation Science, until 2015. Dr. Kidd is a family doctor, primary care researcher and medical educator. 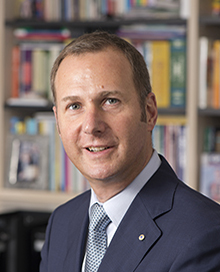 He served as president of the World Organization of Family Doctors from 2013-2016, and as president of the Royal Australian College of General Practitioners from 2002-2006. He is currently Professor of Global Primary Care at Flinders University based in Adelaide in Australia. 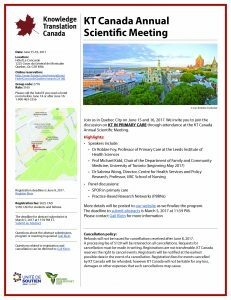 In May 2017 he will take up the position of Chair of the Department of Family and Community Medicine at the University of Toronto. Michael has wide-ranging research and education interests in global health, primary care, digital health, health policy, the education of health professionals, safety and quality in primary care, the primary care management of HIV, viral hepatitis and sexually transmissible infections, and the role of case reports in contemporary health care. In the Queen’s Birthday Honours List in 2009 he was made a Member of the Order of Australia for service to medicine and education in the areas of general practice and primary health care. Dr. Sabrina Wong: "Engaging Practices in Improving the Science and Reporting of Performance in Primary Care"
Dr. Wong is a Registered Nurse and health services researcher located at the University of British Columbia Centre for Health Services and Policy Research and School of Nursing Dr. Wong's research focuses on primary health care, specifically how structures (e.g., models of care) and processes (e.g., interprofessional teamwork, interpersonal communication) can enhance the delivery and organization of health services. 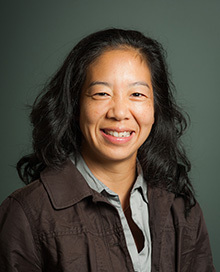 She is a recognized leader in research involving patient-reported quality of care, her work contributes to informing practice and system level interventions that seek to decrease health inequities among Canadian residents, including people who face multiple disadvantages in accessing and using the health care system such as those who have language barriers and live in poverty. Her current major research projects include overall leadership and responsibility for the community based primary health care innovation team grant, “Transforming Primary Health Care Through Performance Measurement and Reporting; chairing the Indicator Working Group across the 12 primary health care innovation teams, working on setting up the British Columbia Primary and Integrated Health Care Innovation Network, and the growth and sustainability of the pan-Canadian CPCSSN. Please submit your abstracts here. Please note that this is a draft agenda which we will be continually updating. We are currently working on posting the program, please check back shortly.